If you’ve been waiting to get your hands on a larger screen iPad, you’ll need to wait a bit longer. Apple is said to be delaying the release of a larger screened 12.9″ iPad model until later in the year, according to a set of new reports from Bloomberg and the Wall Street Journal. Rumors of a larger screened iPad have been circling for quite some time, most of which estimated a general early 2015 timeline. Unofficially dubbed the “iPad Pro”, the device is expected to offer a 12.9″ screen that is notably larger than existing iPad models with a 9.7″ and iPad Mini with a 7.9″ display. 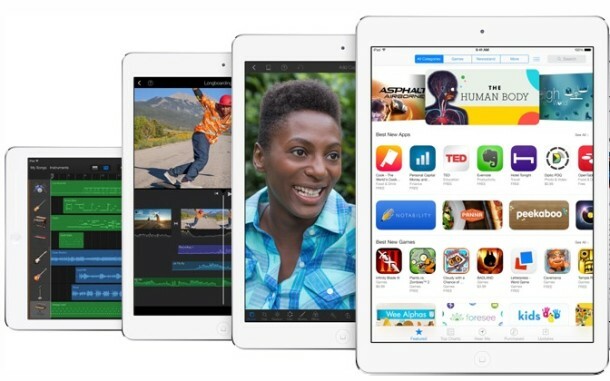 Minor software updates to iOS and OS X are also expected to arrive next week. Maybe they’re using the same 12.9″ display for a new Retina MacBook Air? Would make sense to share display sizes, wouldn’t it? Cheaper to make? This rumor doesn’t make sense. The 13-inch MacBook Pro already has a retina display. So it shouldn’t be that hard to make a 12.9-inch retina display.